So, I recently discovered that the mbed is capable of generating VGA signals without dedicating the entire processor to the task. This is the VGA library I'm using. It has quite a few limitations. Monochrome only. This actually is fine for every application I have in mind. Anyway, after I got it hooked up the first thing I wanted to get on it is a simple console. I have that now. 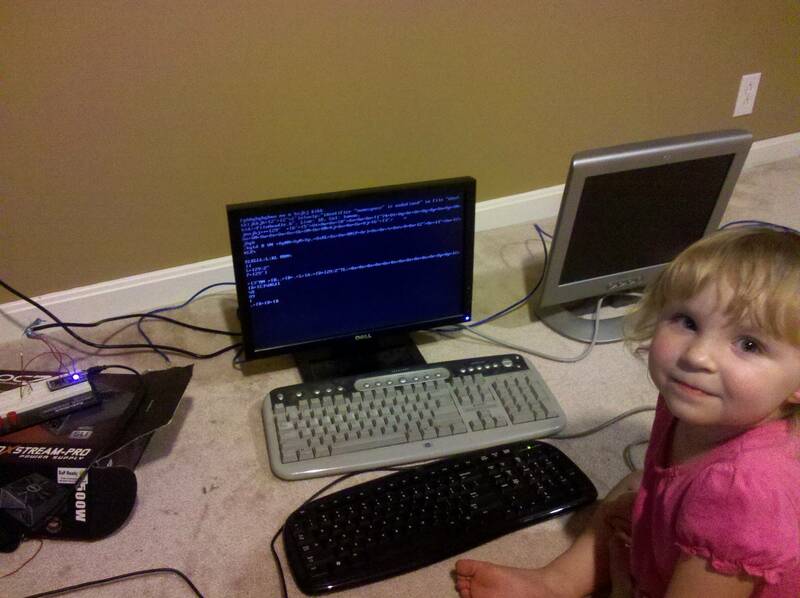 In the picture below though I set it up to just print characters typed into a serial terminal. Here, Taya is enjoying typing and is begging me to let her "play a game" heh. So, now I know what the next step is I suppose. Anyway, when I get something that actually does something useful, I'll post the source code as BSD licensed.